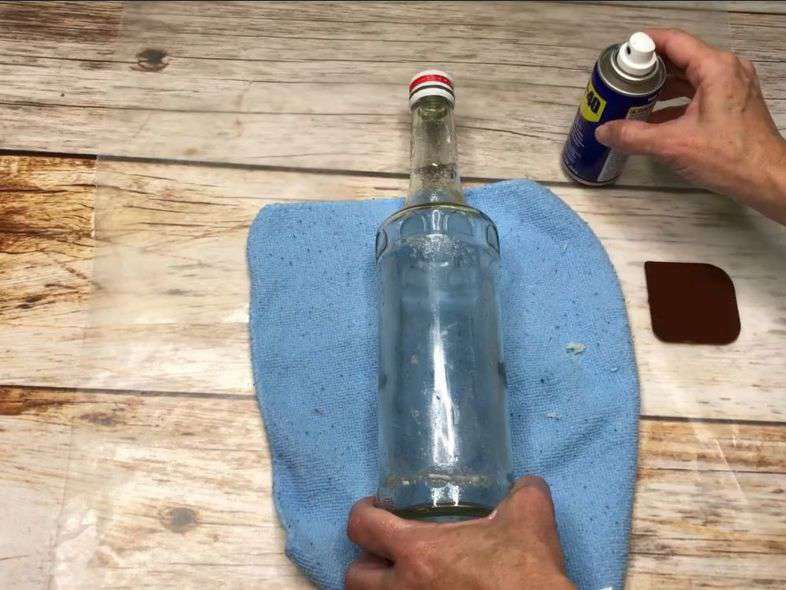 WD-40 Hacks to the rescue! 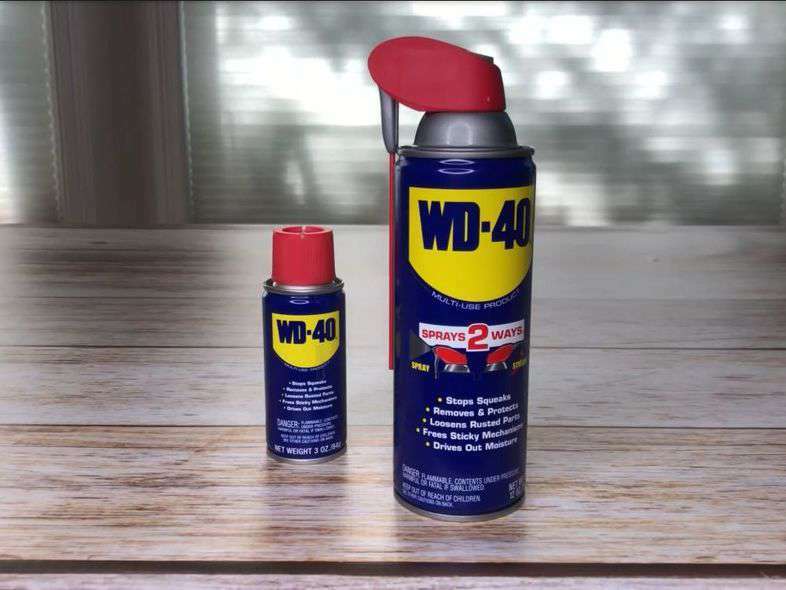 WD-40 removes, protects, & loosens so many things. It contains silicone which is one of the things that makes this so special. The one thing to note is that it is flammable. 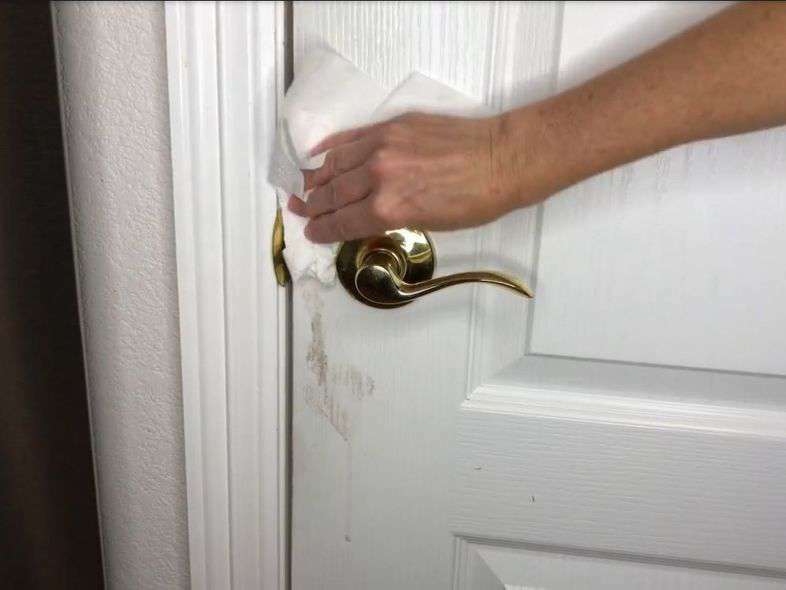 Use it to loosen door handles & locks. 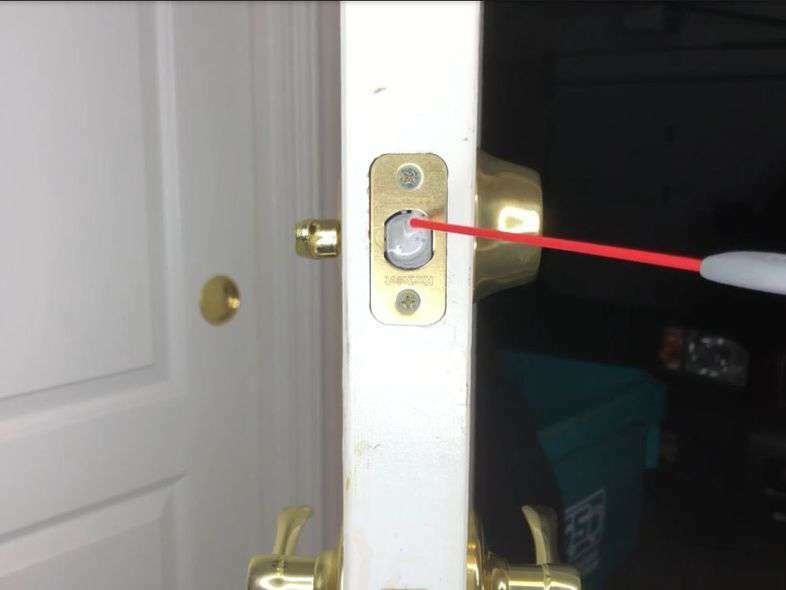 Got a door or lock that is sticking or not running smoothly? 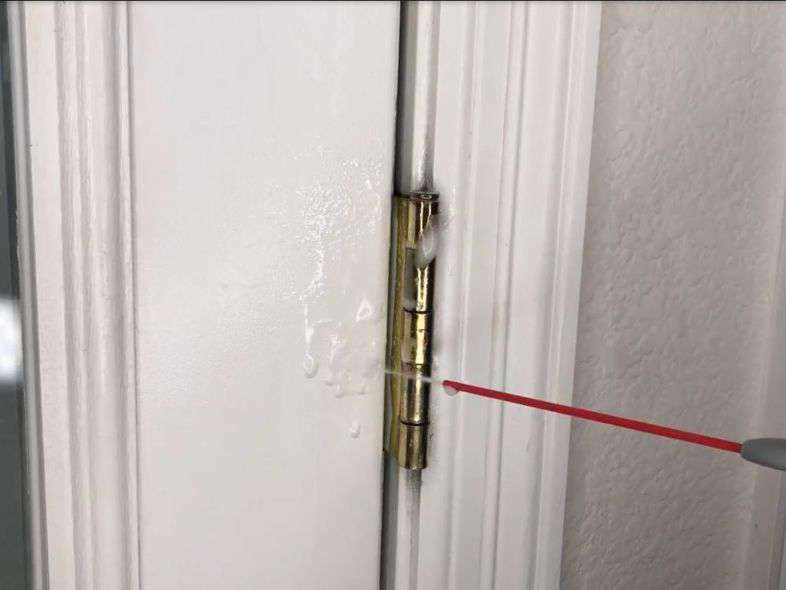 Squirt a little WD-40 onto it, wipe up the excess, and as you start wiggling the lock and handle it’ll loosen right up and run smooth again. Spray some on the hinges, wipe up the excess, open and close the door a few times, and the squeak will disappear. Spray a little on your doors or other surfaces with grease on them, and wipe away those greasy fingerprints and surfaces. 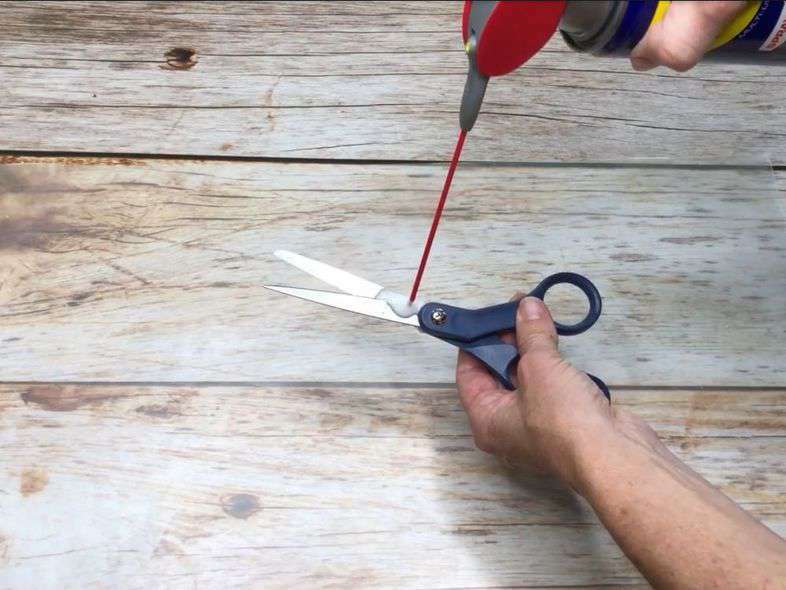 If your scissors get sticky residue in them and they are having a hard time opening and closing or sticking closed, spray a little on the scissors, wipe up the excess, and start wiggling them – they’ll free right up. 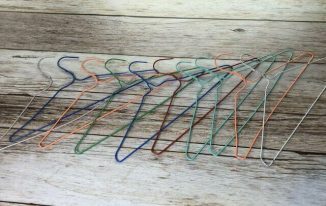 This works great on tools as well – pliers, garden shears, etc. 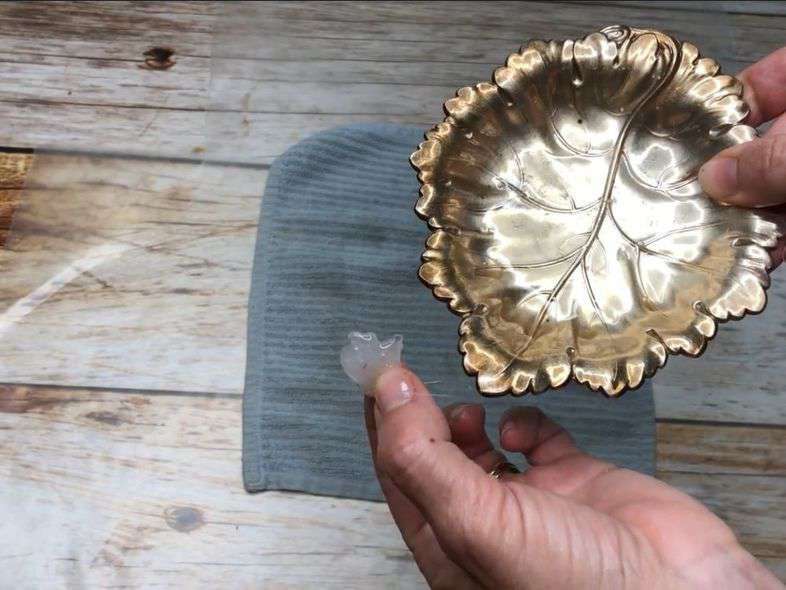 Got hot glue stuck to something that you need to remove, or perhaps some school glue or other sticky substance? 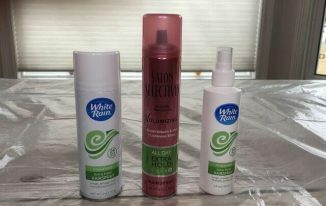 Spray a little on the surface, let it sit for a minute, and then use a cloth to wipe the residue away. For the hot glue, it just picked right off with no trouble. 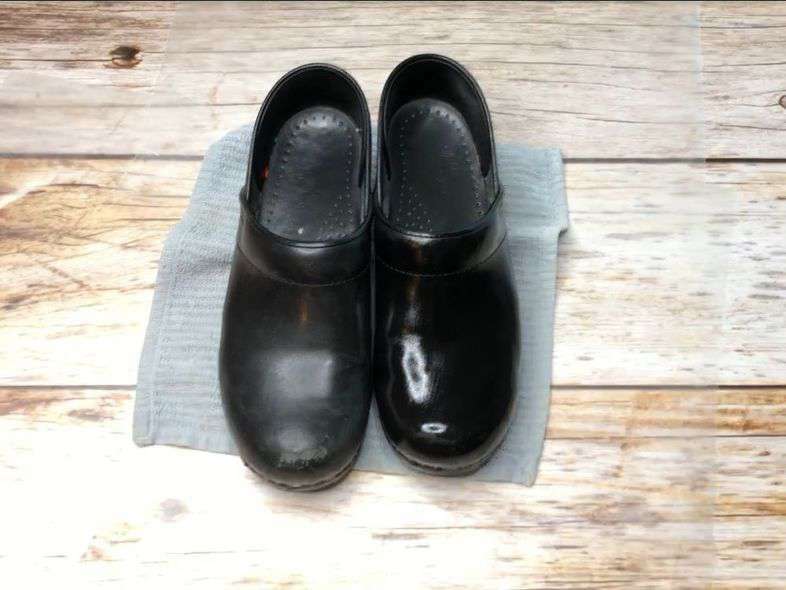 Spray a little on a cloth and wipe on your shoes. It will clean them, moisturize them, and make them weather resistant. The one on the right is the one I just sprayed, the one on the left is the before. 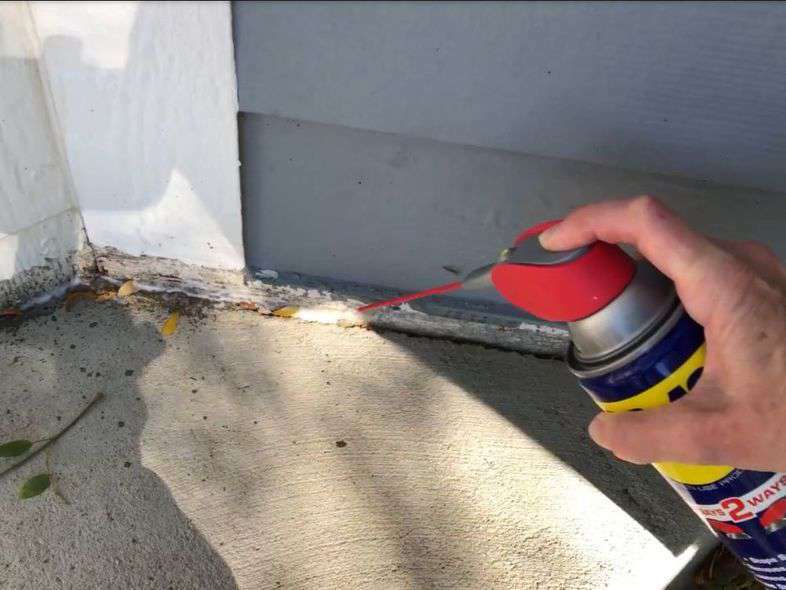 Spray a little around the base of your house outside and it’ll repel the bugs from coming into your home. 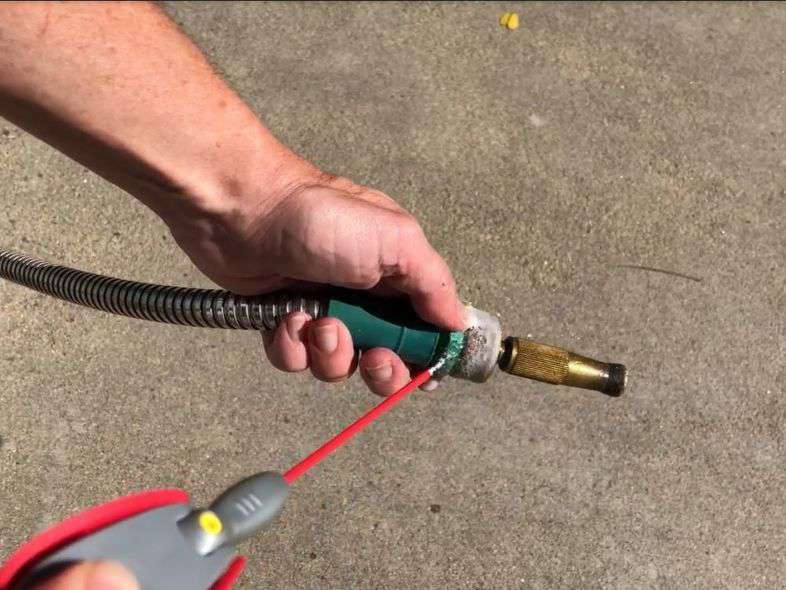 Ever get a sprayer that you cannot get off your hose? Spray a little into the threads, give it a couple minutes, and then start to twist. It’ll loosen it up and you’ll be able to twist it right off. 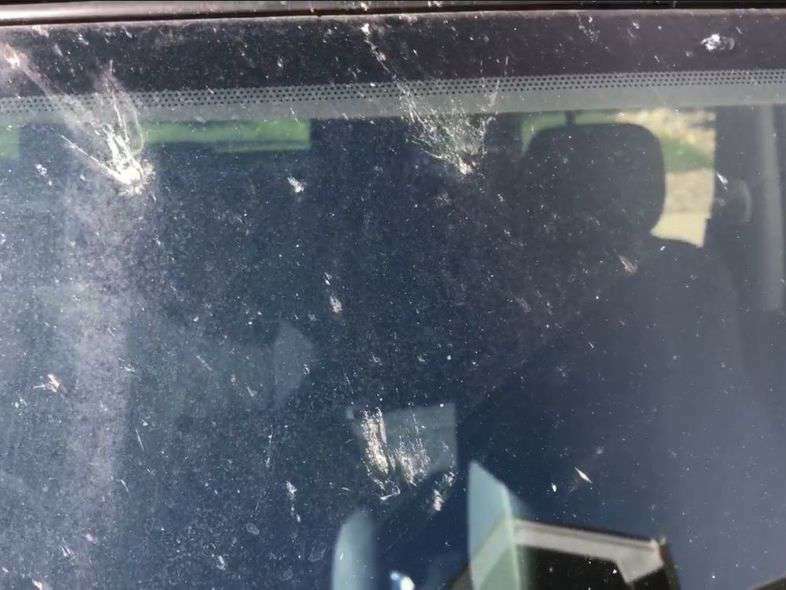 Spray a little WD-40 onto your bug splattered glass, use a cloth and they’ll rub right off. 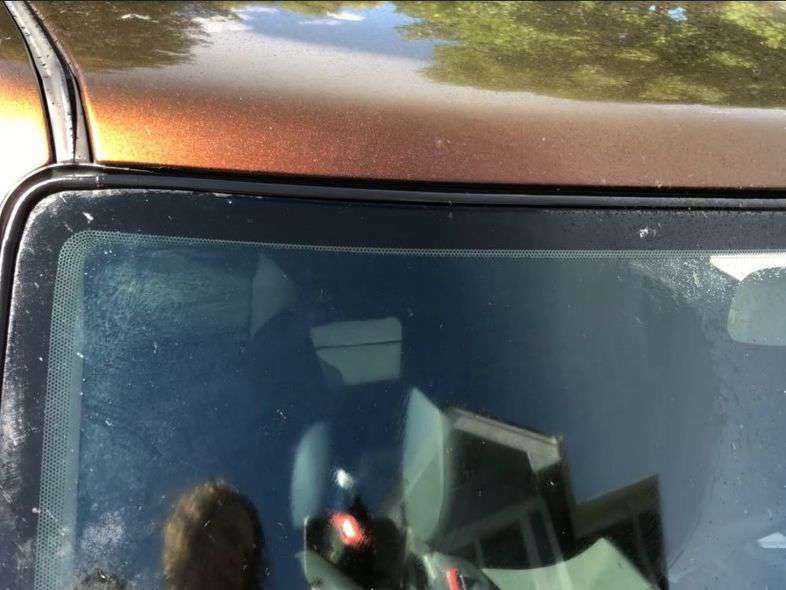 *A special note from my husband – it’s fantastic at getting tar off your car too right after they have resurface a road. 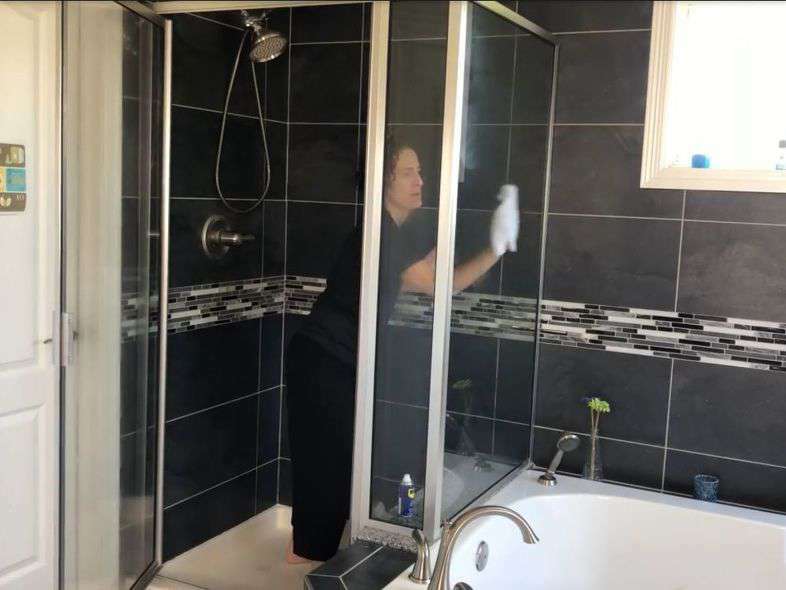 Clean your shower and then spray the glass with WD-40 and wipe on. It’ll create a barrier that will stop soap scum from forming on your glass. 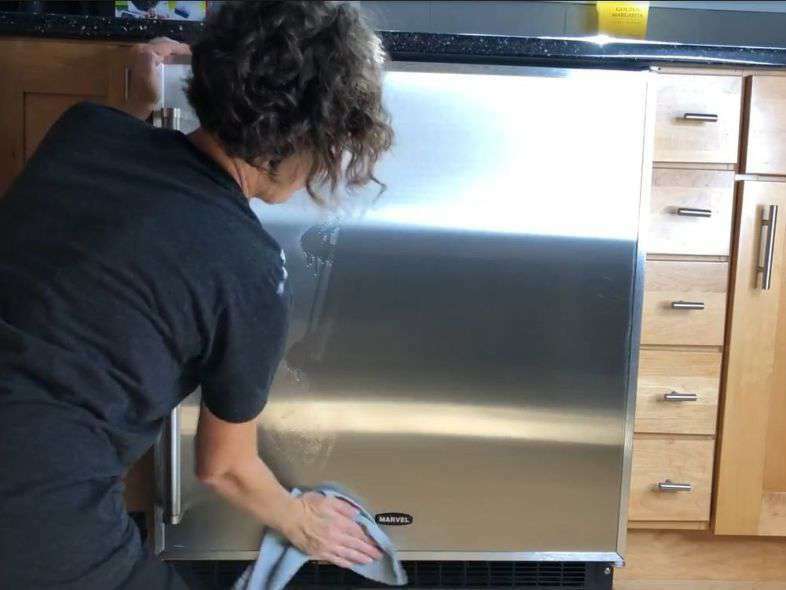 Spray it on your stainless steel and use a microfiber cloth to wipe it in. It cleans it right up! 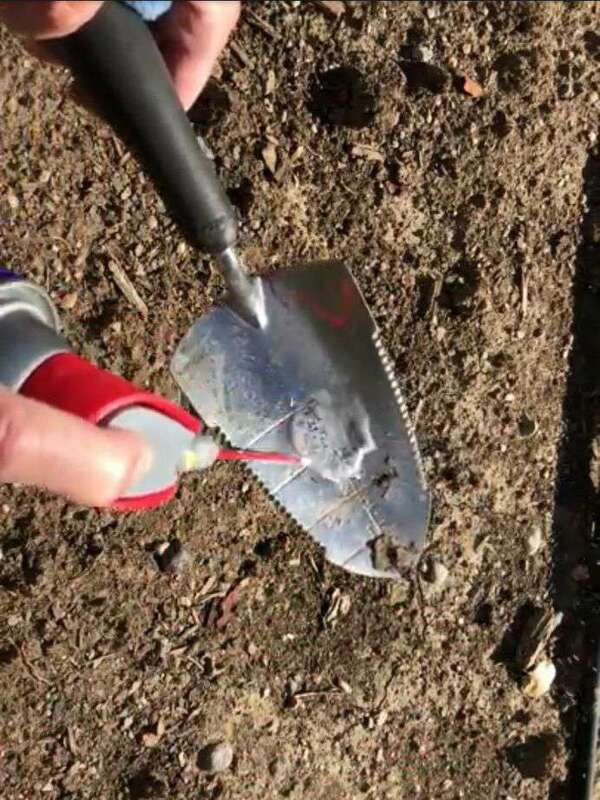 Spray a little on your shovel, it’ll not only clean your shovel but it’ll keep the dirt from clumping onto your shovel as you continue your work. 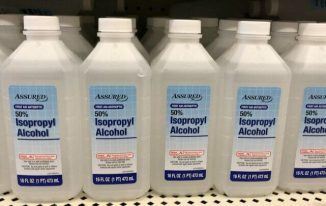 Spray it on and use a scraper to scrub it right off of bottles. Works great to remove tape residue as well. 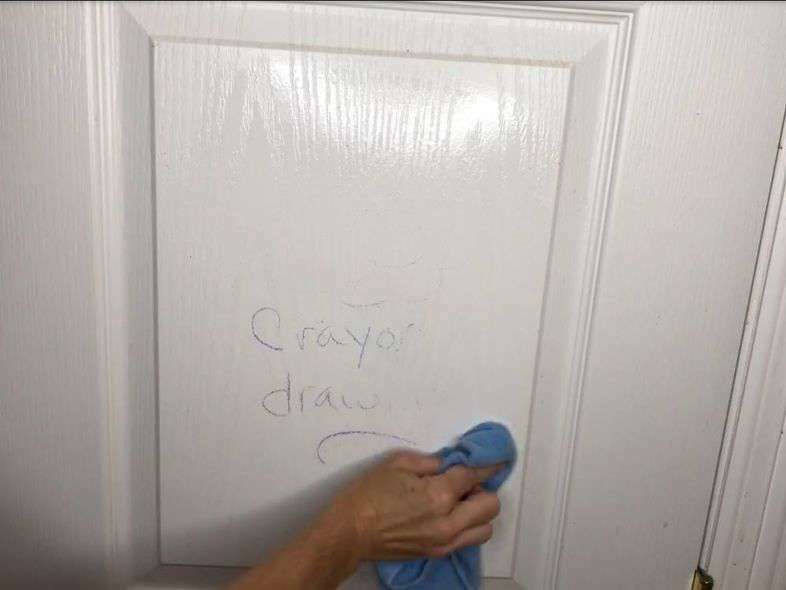 Spray some over the crayon on your door, table, and more and use a microfiber cloth to wipe it off. Oh gosh, Chas WD-40 is my “go-to” too! I didn’t know, though that you can use it for bugs and on glass. Thanks for the extra tips! Thanks Linda and it works for so many different things. I used it to get gum off my carpet that one of my kid’s accidentally stepped on and then transferred it to my car’s carpet. Took it right off. Wow! Great post. Thanks for all the tips. Thanks Jocelyn, have a great weekend! Thanks Kathi and I used it to get gum off my carpet that one of my kid’s accidentally stepped on and then transferred it to my car’s carpet. Took it right off. I use it to clean and soften my leather couch and loveseat! Looks great! What a great tip, thanks for sharing! Thank you and I’m excited you want to give some a try. Thanks for stopping by. Thank you for all of this useful tips! 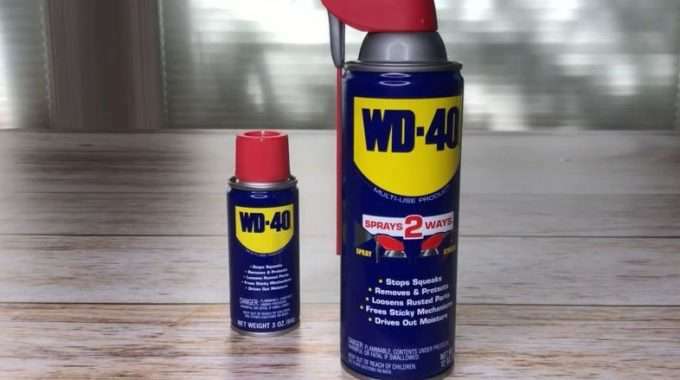 We love WD-40!!! Thank you for sharing some additional tricks that we did not know. Found you on Over the Moon. Oh my word! I had NO idea there were so many uses for WD-40! Of course I always have a can on hand; I’m going to grab it and put your ideas to good use. And I’ve pinned this for future reference. Thank you so much Richella and thanks for the feature and Pin. I truly appreciate it and your hosting a wonderful place for all of us to share our creations. What helpful information! I love it. Who knew?! This stuff saves me in the winter with my dogs tie out clasp. It would freeze and was impossible to open some days. It needs to be reapplied a few times throughout the season but does the trick. Love your site. You have such interesting and helpful ideas. Going off to buy some wd40 right now. Thanks so much for sharing what is in that marvellous brain of your. Christina, (down under). You are so very sweet Christina, thank you so much. I hope these ideas work for you as well as they did for me.